A brief update on what we did for the last half of December. School finished on the 17th with the last of our study on A Christmas Carol. We had fun with both the Nutcracker study and Christmas Carol, but I think next year we might simply try to stop school sooner and have fun activities instead of fun school. I felt a bit (okay, more than a bit) rushed and over scheduled. Amber was fine, it was me who had the problems getting it all done. 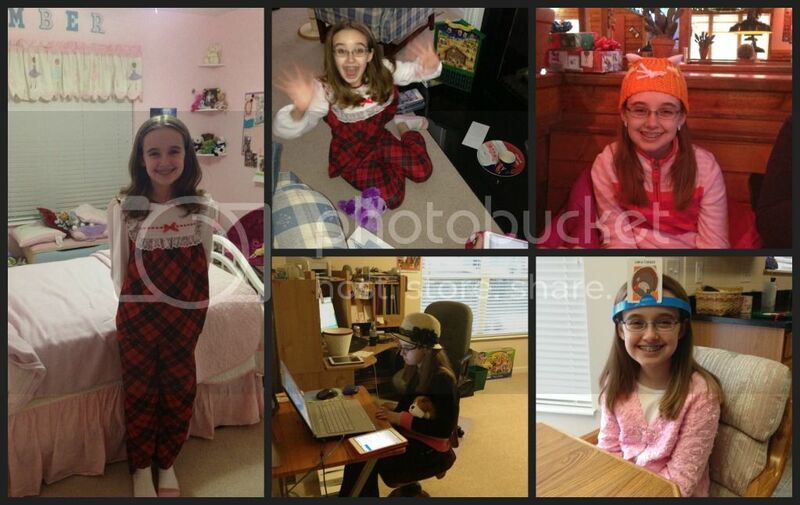 This was our first December homeschooling, so now I've learned my lesson. 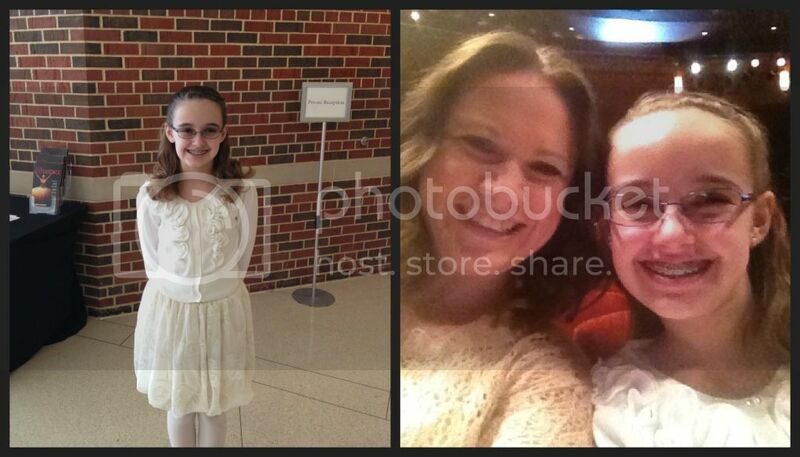 We saw a production of the Nutcracker ballet, by St. Louis Ballet. Amber thoroughly enjoyed it and closely watched thr dancers. We were only a few rows back from the stage, so Amber had a great view ofmthe dancers. I asked her how the dancing looked, and she simply said "hard". The main characters were all en pointe, and Amber starts pre-pointe in 2 weeks. Which reminds me, I need to get her fitted for those shoes still. 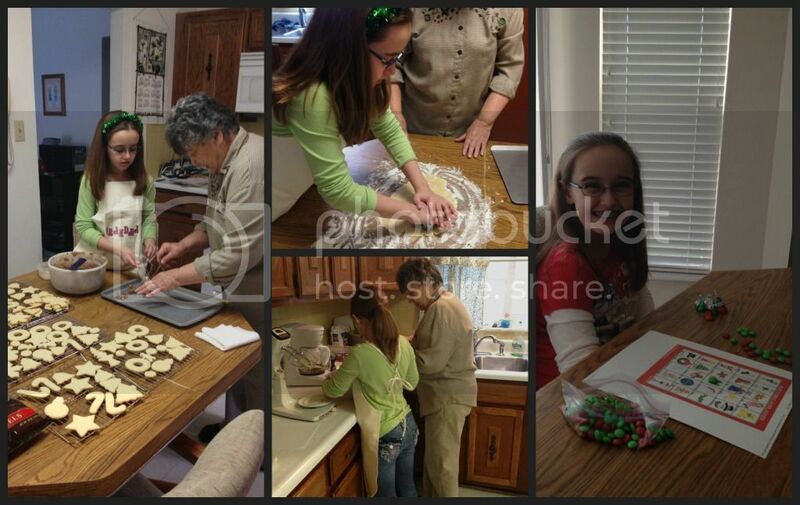 For the first time this year, we had a Christmas cookie baking day with my mom. She makes the best from-scratch sugar cookies. I make precut shapes with sprinkles tossed on them. Mom paints the icing on her cookies. Amber finally got to have one of those great family baking days. Previously, my dad needed do much care that Mom couldn't have us over for a baking day. Amber had her own Christmas gathering, akin to a school party. It is the one thing she misses from parochial school. But since I was a room parent and party planner for most of her school parties, it was pretty easy to plan our own. Amber invited a couple of homeschooled friends and the girls had a blast playing games, eating lunch and Christmas goodies, the just goofing off together. It was one of the few things that turned out exactly how I envisioned it. Christmas was a wonderful day full of excitement and thankfulness. Amber was over the moon excited to receive her iPad mini from Santa. Fred gave me the 4th generation iPad and took my 3rd generation for himself. He's still not sure what to do with an iPad though. I do love the new iPad and am so greatful for it. I just wish I had known my tower computer was going to die on the 26th. Amber and I are now sharing my laptop while I await my new tower. Dell was backed up after Christmas, so I'm waiting, but not so patiently. It was a very gadgety Christmas for me. (L) Wearing heirloom pajamas from my sister. She's been waiting all year for this. (Top) Super excited that Santa brought her an iPad Mini. Out to lunch on a snowy New Year's Eve for lunch, wearing her kitty hat knitted by a friend. (Bottom) Playing Webkinz with her friend, while using iMessage on their iDevices to chat. Playing Hedbanz with the family. Amber got it for Christmas. We've enjoyed a lot of family time the past week and with Amber's birthday coming up, I foresee a slow start back to school as well. There will be some changes to our school curriculum and schedule for this next semester. Some are due to a new dance schedule and some are because we can't take the current curriculum any longer. Even though things were not as smooth as I'd hoped this December, it was a joyful time and the best December we've had in a while.